The guys at Secret 7" have uploaded all the exhibition artwork. A bewildering array of images. I have managed to spot a few and linked them with their creators. 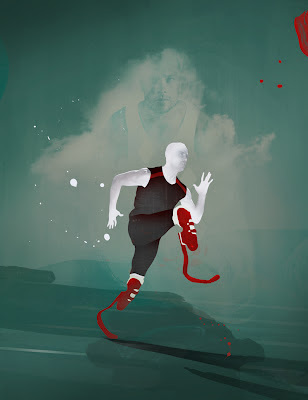 A recent illustration for a piece on the runner Oscar Pistorius in the olympia issue of 125 magazine.